You have probably learned through school or even from watching the Disney movie The Lion King, that many organisms are interconnected to each other in an ecosystem through predator/prey relations (aka the Circle of Life). On occasion non-native organisms are introduced into an environment, and can be disruptive to the ecosystem, as they compete with the native organisms for resources. These new neighbors are often called introduced, non-native or invasive species. For example: lionfish are native to the Indo-Pacific and in recent years have been found in coral reef communities in the Atlantic Ocean. 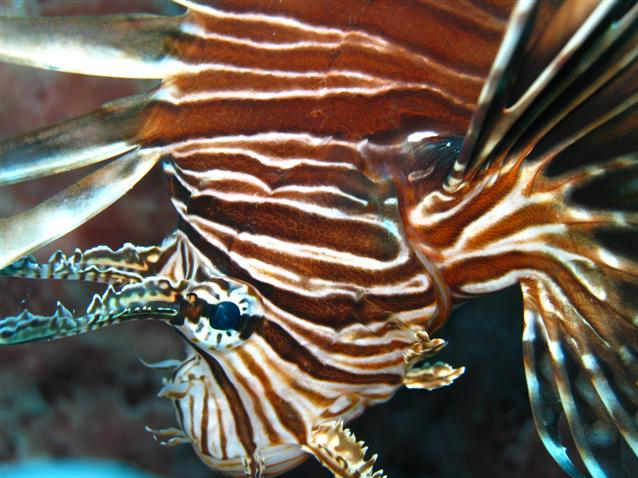 Since lionfish are excellent hunters and have no natural predators in the Atlantic, researches are seeing their population bloom while the populations of the native reef species are declining. As Europeans ventured around the world they often brought with them species from their homeland either intentionally or by accident. Penguins breed in isolated areas or on islands with little to no land predators. 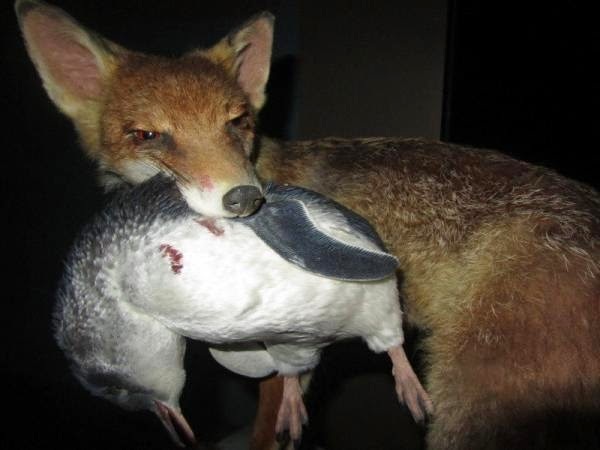 The introduction of non natives like foxes, rats, feral cats and dogs added land predators that penguins previously never encountered. These new species kill the adults, chicks and eggs of many penguin species like the little blue, Galapagos and African penguin. Over the years researches have seen penguin populations decline as a result of introduced predators. Stay tuned to future blogs to see some creative solutions to help combat introduced predators.